India has an ambitious target of producing 100 GW of solar energy by 2022. After some rapid growth over the past few years, further development faces serious hurdles at multiple levels. In October 2018, no bidders turned for an auction, by the government, for a 1200 megawatts (MW) hybrid project, which had a mix of wind and solar energy generation. The absence of bidders for this auction was hardly a surprise as just a few days earlier, another auction for renewable energy had failed and these failures forced state-run Solar Energy Corporation of India (SECI) to extend the deadline for the fifth time. The cancellations do not augur well for India’s ambitious renewable energy programme, which has set a target of installing a capacity of 175 gigawatts (GW) of renewable energy by 2022, of which solar energy itself would be a hefty 100 GW. Initially, the solar energy sector boomed, with all major utilities, public or private, entering the fray, egged on by the involvement of Prime Minister Narendra Modi himself in creation of International Solar Alliance (ISA), an Indo-French initiative launched during the Cop21 Paris meeting in December 2015. Following a global trend, the prices for solar power generation in India, too, dropped sharply, making solar power as competitive, if not more, than thermal, read coal. This led to a frenetic addition of thousands of megawatts of capacity across the entire country and the high-profile opening of the world’s largest solar power farms, where several Indian states competed with each other to hold the title. Sensing an opportunity of a life time, even those companies with little or no experience in electricity generation or distribution have jumped in the fray. Solar power generation raced ahead over the past few years, with over 4.3 GW of new capacity added in the calendar year 2017, taking the total to 16.6 GW, while the wind energy capacity also grew rapidly to 32.6 GW at the end of last year. However, the current year has proven to be less propitious for solar power as bidders begin to stay away from fresh project auctions and as ongoing projects face operational troubles, like any other industry in India, leading to cost overruns and delays in execution. “Poor bids and cost overruns were especially due to delays in procurement of necessary land, permits, and mismanagement of funds, and are the major reasons for projects failures,” says an industry observer. He suggests that the government should set a cap on the lowest price and allow more developers to undertake projects, in case the lowest bidder, winning the auction, is unable to continue the project. Price is the first and most important hurdle as the government has set a tariff capped at USD 0.035 per unit for hybrid projects, involving both solar and wind power. The developers feel that the price discovery should be left to the market as tariffs should be driven by the wind density, solar irradiance, and the associated competition. Another question raised by the developers is the obligations imposed by the government for the developers to get into the manufacture of solar modules. According to current norms, in order to bid for a project of 2000 MW, the developers must set up a manufacturing unit of solar panels for 600 MW. The developers also want the government to extend the power-off take commitment period, during which the government is obliged to buy the power produced by the plant at a pre-determined price, from the current two years to five years to ensure adequate revenues once the plant goes on stream. Not all challenges for solar energy are coming from within India, some have also emerged overseas. The biggest headache for India has been its ongoing trade war with the United States (US) over the domestic content requirement imposed by Indian government for successful bidders of solar power projects. For the Indian government, the logic was simple and straight. It saw a dual opportunity in its big push on the solar energy. Not only would India address the growth of solar energy generation in India and hence move to a more sustainable energy mix, but it would also be a major opportunity to give a dramatic push to the manufacturing industry in India, by creating a large industry revolving around the manufacture, installation and maintenance of the solar panels and the associated infrastructure. It was with this in mind that the Indian government had imposed domestic content requirements for solar panels and other equipment used in solar power projects that would be eligible for subsidies and other incentives. The subsidies amount to USD 150,000 per mw, not an insignificant sum for any power producer and hence a major attraction and reason behind the immense push that solar cell manufacturing industry has received in India. This requirement was challenged by the US and in September 2016, barely months after the Paris Agreement, the World Trade Organisation (WTO) ruled in favour of the US and asked India to do away with the domestic content requirements. A number of other countries including China, Malaysia, Canada and the EU joined in the dispute against India. In January, earlier this year, the US went back to the WTO alleging that India had not yet complied with the ruling of September 2016. The WTO has set up a monitoring body to check the compliance and a report is yet awaited. In July, while the matter at the WTO was proceeding, India imposed a 25 pc safeguard duty on imports of solar panel modules from China and Malaysia, for a period of two years to protect the domestic industry against dumping practices allegedly being practiced by exporters of solar panels. According to analysts, China alone supplies over 85 pc of the solar panels used in India and Malaysia is believed to have a five percent market share. The measure was taken following complaints by the domestic manufacturers of unfair competition by Chinese exporters. This duty has turned upside down the solar power generation business in India as the cost of power producers responsible for over 12 GW, whose projects are under construction or yet to start, is likely to rise by a corresponding figure and they could seek a recourse to hiking the power tariff by nearly 35 paise a unit (0.4 cent). ‘‘India is currently dependent on 85 pc of imports of solar products from China. However, the safeguard duty (SGD) of 25 pc on imports of solar components from China is driving investors away from tenders announced by government bodies. Furthermore, the decision to pass the impact of SGD to consumers while setting a tariff ceiling is also making the investors to channelise their investments in a different direction rather than investing in solar auction,’’ cautions an analyst. Going forward, another factor that could hit India’s solar generation plans as well as the operational plants is the issue of the quality of solar panels and their maintenance. A recent study of six projects, conducted by a German technical advisory firm, P I Berlin, found that the solar panels, that form the industry’s backbone, being used were sub-par and the plants were also constructed with flaws and they were poorly maintained. The study was done in collaboration with the Indian Ministry of New and Renewable Energy (MNRE) and two state-run organisations, the National Institute of Solar Energy (NISE) and the Solar Energy Corporation of India (SECI). 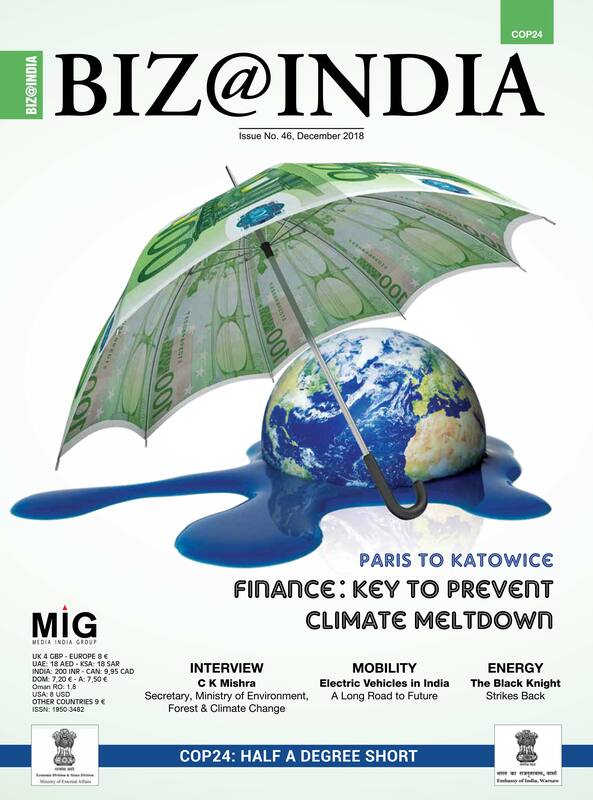 In its report, P I Berlin summarised that the Indian market was one of the most profitable yet risky for project developers and investors in photovoltaics, adding that even though large-scale projects of over 100 MW were now common, the investment risks caused by the climate, poor installation, and lack of proper maintenance was on the rise. However, the study found even the panels made in India to be of poor quality, impacting the performance as well as longevity of the power plant. The report cautioned that the plant owners were not vigilant enough about issues like certification or standards of the material or the construction companies being used by them. The study also found that even SECI was not insisting on adequate certification from the bidders for solar generation projects. The report blames the extremely aggressive pricing being used in the Indian market for the current situation. “Competitive reverse auctions, that push down bid prices to extremely low levels, is a scenario where cutting corners in regards to quality may become a common practice,” Asier Ukar, senior consultant at P I Berlin, was quoted by an industry journal. He went on to suggest that in order to achieve the target as well as maintain the momentum in solar power sector, the government needs to lay down strict technical standards for components, installations as well as construction of the solar power plants.